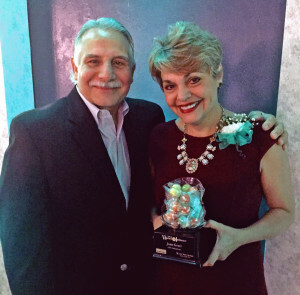 We’re proud to announce that Career Reform’s President and Founder Joan Graci received a 2015 Woman of Influence award issued by Buffalo Business First. 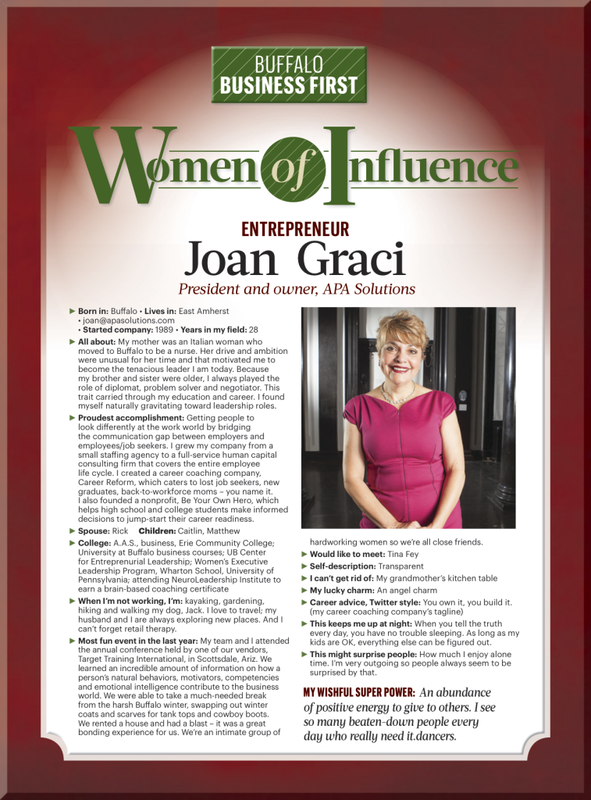 Joan was recognized as an outstanding entrepreneur, which honors women who display high energy and skill in a leadership role at a nonprofit institution or organization. My proudest achievement is getting people to look differently at the work world by bridging the communication gap between employers and employees (or job seekers). I was able to accomplish this goal by growing my company from a small staffing agency to a full-service human capital consulting firm that covers the entire employee lifecycle. My amazing staff and I are constantly coming up with innovative ways to help our clients, from building online professional development courses to HR certification programs. Recently, I helped a very disjointed team become the most profitable branch within its organization by opening more lines of communication, creating accountability measurement tools, and engaging staff members to contribute. My success has allowed me the freedom to repurpose my “employer knowledge” to create my own career coaching company, Career Reform, which caters to lost job seekers, new graduates, back-to-workforce moms…you name it! Because so many working and nonworking professionals are suffering from bad career advice and following an outdated job seeking process, I published No More Bad Advice, which empowers people to approach their careers like nimble business owners. I also founded a not-for-profit organization, Be Your Own Hero, which spreads awareness to high school and college students so that they can make informed decisions to jumpstart their career readiness. We couldn’t have put it better ourselves. Congratulations Joan on your incredible achievements!